With the Contemporary Metals rectangle key chain, you're receiving a quality piece that will stand the test of time. 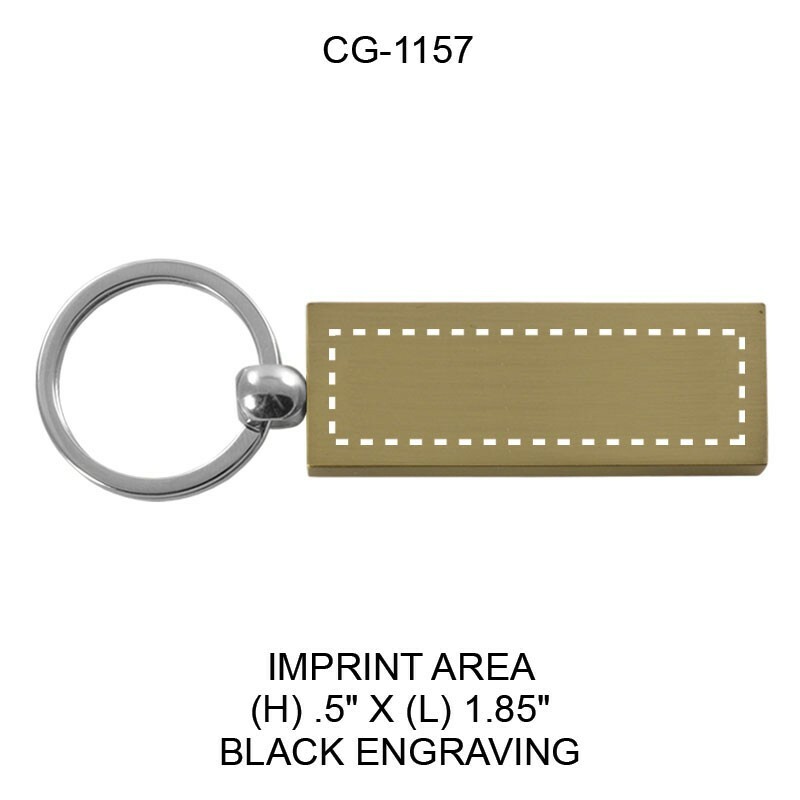 Each gold or silver key chain features your laser engraved logo on black on the brushed brass or brushed rhodium finish. A silver clasp and key ring provides security and ensures the rectangular plate will always hang properly. 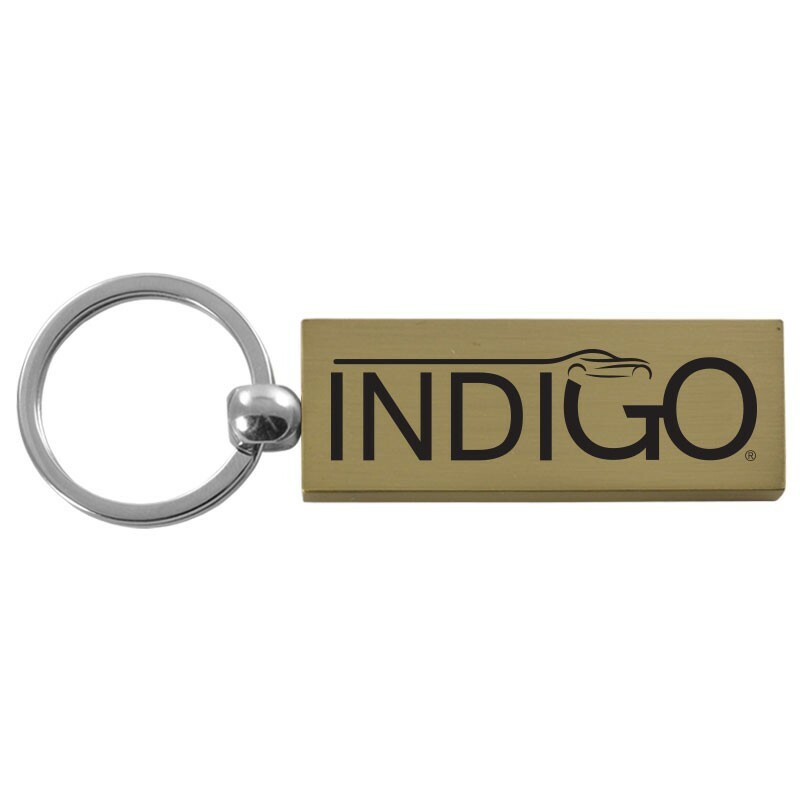 This beautifully embossed key chain is the picture of class with its brushed brass and rhodium finish.